I ran into an interesting article today discussing the three Polger sisters, all world-class chess players, and how they developed their talent. Have a look at the article, and then read on to find out why we’re discussing chess on an LSAT blog! 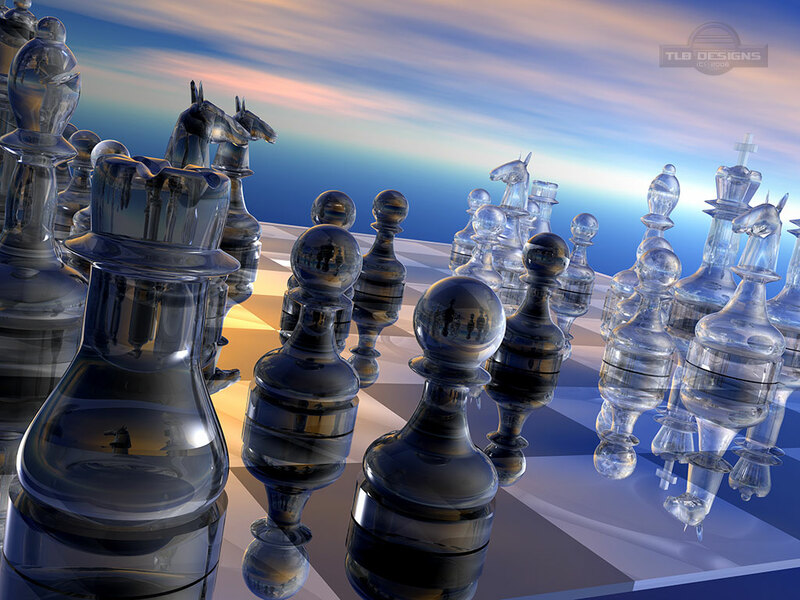 Chess titans have anywhere from 20,000 to 100,000 configurations of pieces, or patterns, committed to memory. They are able to quickly pull relevant information from this mammoth database. With a mere glance, a grandmaster can then figure out how the configuration in front of him is likely to play itself out. This is precisely the framework that the LSAT works in as well. Practicing LSAT questions is useful not only because it teaches us the right way to think about certain things, but also because when push comes to shove on test day, you don’t have the time to sit there and think – you have to recognize the pattern in the question from the hundreds of practice questions you did before it, meaning that you must remember the things you have learned from the mistakes you have made. Just like chess grandmasters, you must be able to quickly access your database of practice questions and pull out the ones that are relevant to the question in front of you. If you can’t do that, then I’d go as far as to say that this test is actually impossible to complete in the given time frame. The context may be different, but this is the precise reason that we stress pattern recognition. Carol Dweck, professor of psychology at Stanford University, has found that people’s beliefs about their abilities greatly influence their performance. When she praised children’s intelligence after they succeeded at a nonverbal IQ test, they subsequently didn’t want to take on a new challenge—they preferred to keep looking smart. When they were forced to complete a more difficult exercise, their performance plummeted. In contrast, some children were praised for “how” they did a task—for undergoing the process successfully. Most of the children in this group wanted to take on a tougher assignment afterward. Their performance improved for the most part, and when it didn’t, they still enjoyed the experience. None of us like to admit that we’re not good at something. But this is also the precise mechanism that holds us back – we latch onto the idea that we’re good, never wanting to see if we can become better. The LSAT is nice because it is an objective exercise with measurable results, just like chess – the scoring scale ensures that you know at all times where you stand. The LSAT is all about tackling difficult questions and forcing yourself to understand what’s going on, so that your understanding in general is enhanced. But the key is that in order to improve your score, you must constantly remind yourself that your knowledge is still incomplete, and that you can only work toward completing it by attempting difficult questions and understanding their foundations. You should never allow yourself to settle for thinking “I’ll just accept that I’ll miss this type of question” or “How could anyone get this?” The fact of the matter is, you shouldn’t have to accept that you’ll miss certain types of questions, and people get difficult questions correct all the time. That negative attitude is precisely the wrong attitude to take, and from this article we see that not only does it stagnate your progress, but it may actually actively inhibit additional learning and understanding. You simply cannot afford to think like that if you want to score well. Long story short – your mindset matters, so you must cultivate it to give you the best chance at succeeding. This part of the article is ultimately why I chose to write about this topic, because it presses directly on something that I personally believe to be true – that no matter how smart you are, you will never achieve your potential if you do not take advantage of your natural talents. Sophia Polger was the most gifted of the sisters, but wound up being the “weak link” because she did not work hard enough to take advantage of her gifts. Judit and Susan both wound up out-achieving her because they did what she was not willing to – they put in the work. On the LSAT, your natural talent means next to nothing. Nobody cares how high up the scoring scale your first ever diagnostic was; the only thing they care about is your final score. Even if you’re naturally talented, you cannot afford to coast, and if you’re not quite as gifted, hard work can and will make up for that. Sure, it might take a little longer, but so what? Laszlo Polger created three chess geniuses from girls who were not necessarily predisposed toward chess achievement, so why can’t you do the same for yourself with the LSAT? That’s just my take – let me know what you think in the comments!